A handful of banks have published policies restricting their financing to some of the most carbon intensive, financially risky, and environmentally destructive fossil fuels. But banks have a long way to go to align their businesses with climate stability. 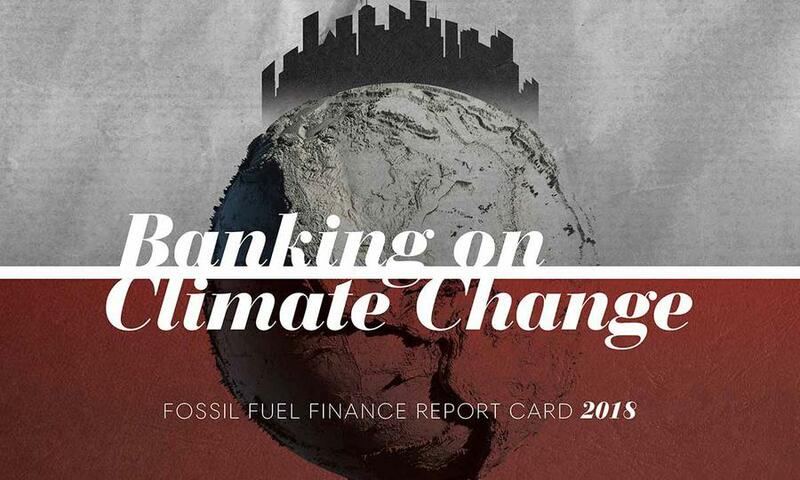 HSBC must stop its dangerous fossil fuel banking practices that drive the climate crisis. 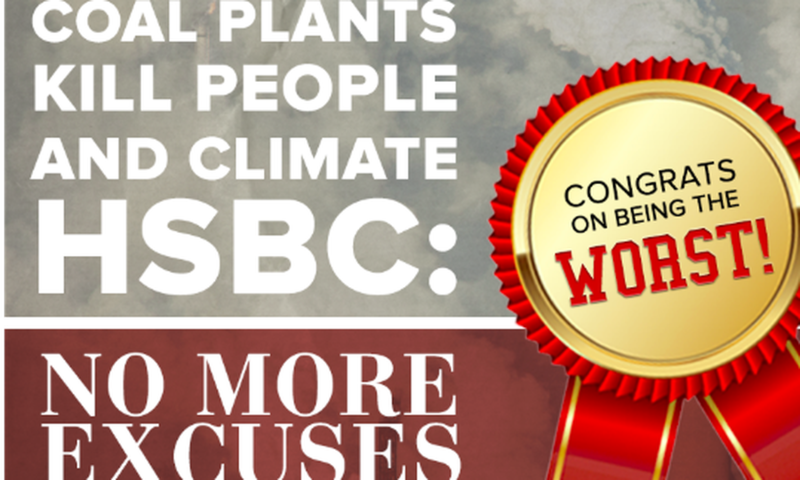 Tell HSBC to defund coal and tar sands now! HSBC is falling behind in climate leadership while peers like ING and Deutsche Bank have adopted a worldwide ban on funding new coal-fired power plants. If HSBC and other banks continue at these levels of financing for extreme fossil fuel projects and companies, they must reckon with their complicity in the increased social and economic impacts of climate change, which hit certain environmental justice communities “first and worst.”  Tell HSBC we will not stand for their destructive banking practices.